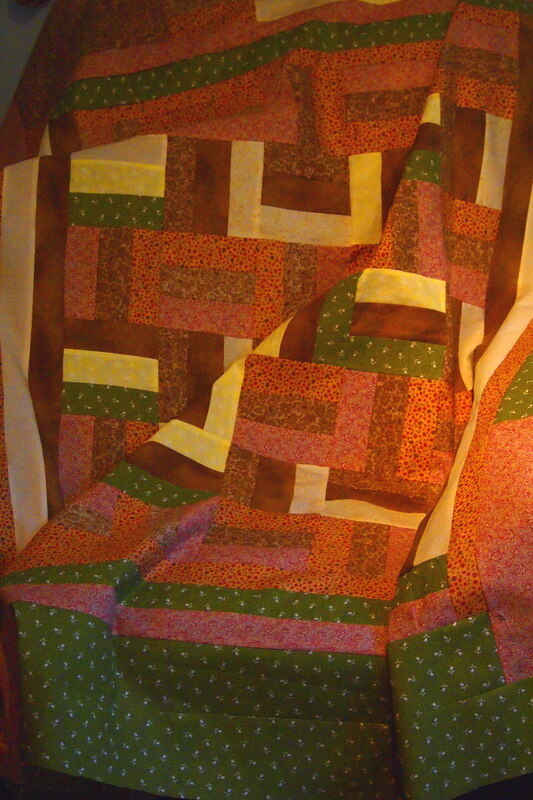 Christmas 2015….Finished a quilt for my daughter in the colors she loves. Chenille quilt folded at the foot of our bed. 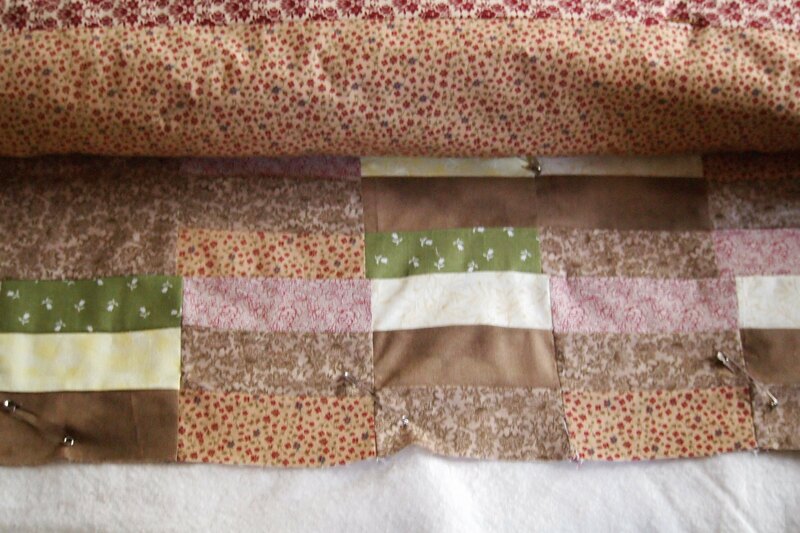 This is a quick quilt that I made to use up a large chenille piece that I had on hand. 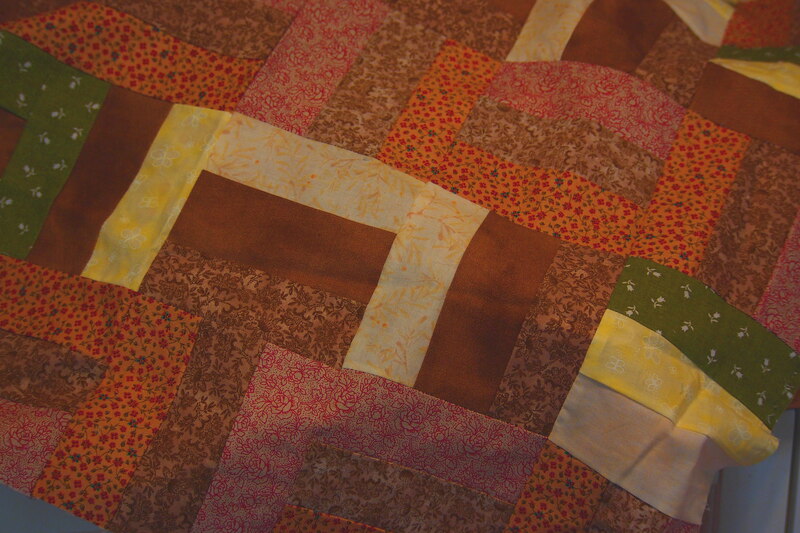 I placed it in the center of the quilt and for filler I used 2 layers of natural cotton inside. It is really warm and a favorite on these cold days. 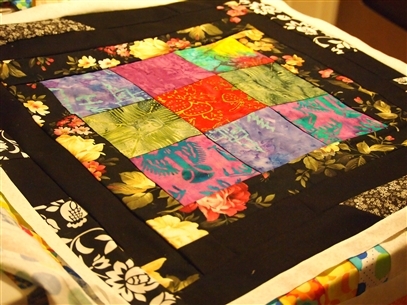 I started watching this years Oscar awards and hand bind my quilt in between looking up to see the gowns and stars. Just as the last best picture award was presented…I had just finished. 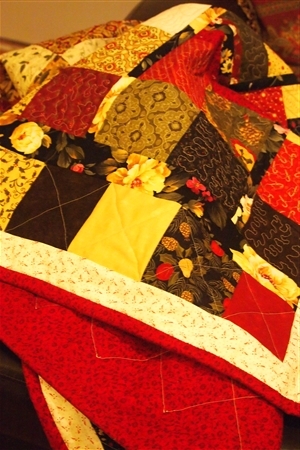 A new quilt was done…. Here we are starting to quilt a new quilt. The basting spray arrived today. It looked so convenient to use on the you-tube Missouri quilting page. I am really anxious to try it out. Says it will not clog the needle and is acid free. I admit I am getting late for Christmas, but here goes. I have 148 squares cut and ready to go for two very large lap quilts. 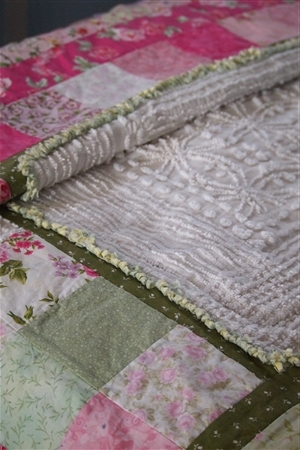 For one of them that will travel to the east coast I will use two layers of the wonderful cotton organic padding. It makes such a warm blanket to cuddle the toes and rest of self under… snuggly. 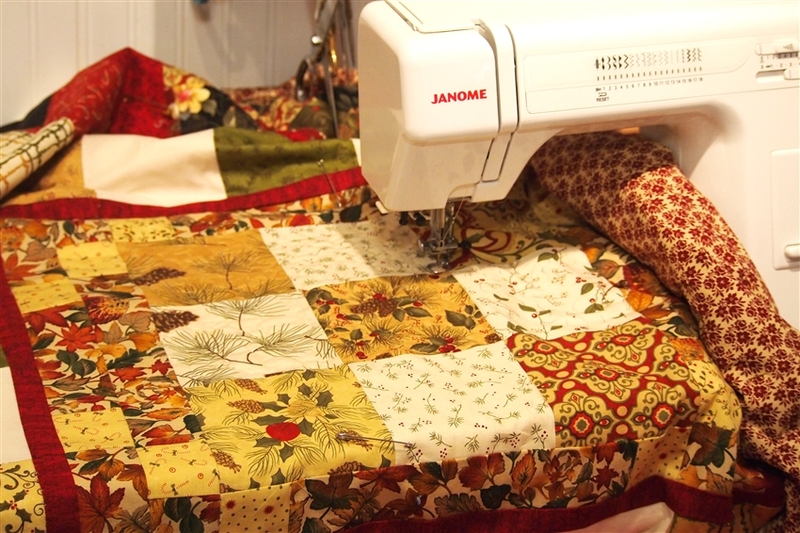 I will keep you posted as the quilts progress right up to shipping time….I will be thinking of all the other happy hands working away on wonderful inspirational holiday quilts. 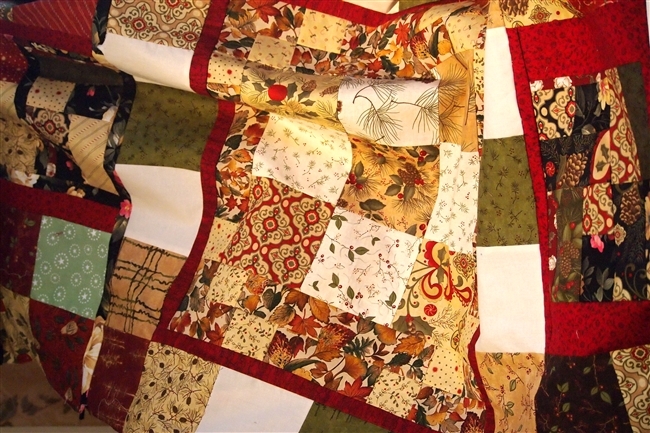 While working on the holiday quilts I think I will finish this quilt started months ago that is in my favorite fall colors. This is the center of the quilt and still needs the sides and final blocks added. Moving along and time to add the back, padding, and pin. Preparing to start the process of quilting. Everything pinned and ready for the quilting machine. Pinned and ready for the quilting machine. 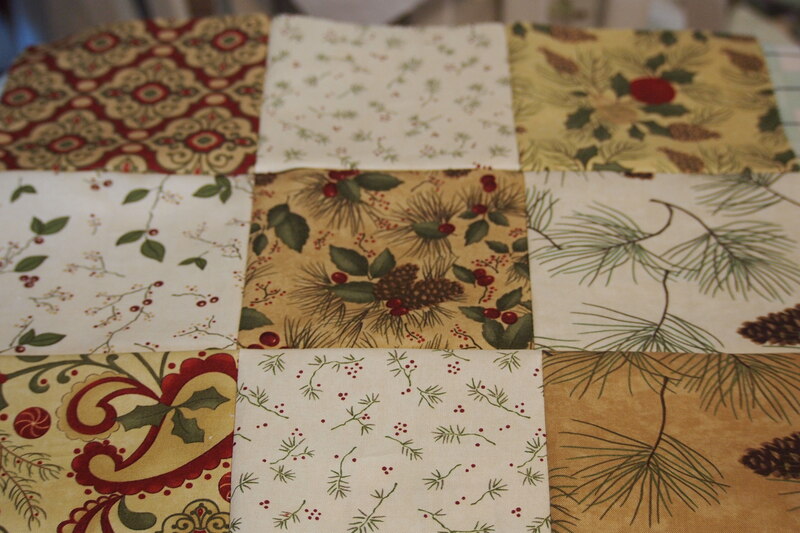 Below the start of the Christmas Quilt and planning the design. Finished and on the way to my son and his family for Christmas. Time to start a new quilt for spring. Spring has to come! Oh, I know snow is now on the ground right now but spring just has to be around the corner, just not saying how far around the corner! 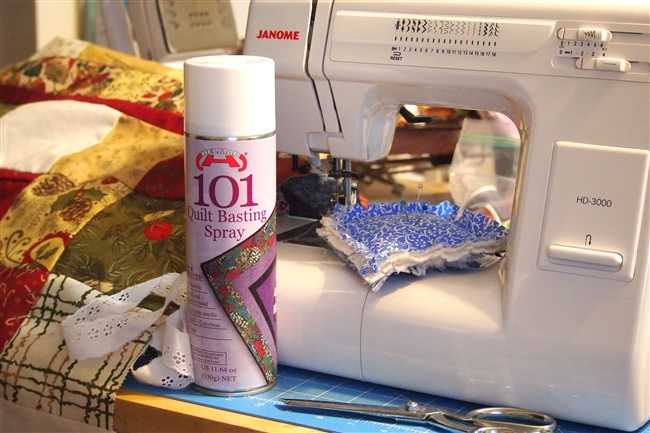 I had some difficulty quilting with my small singer sewing machine. 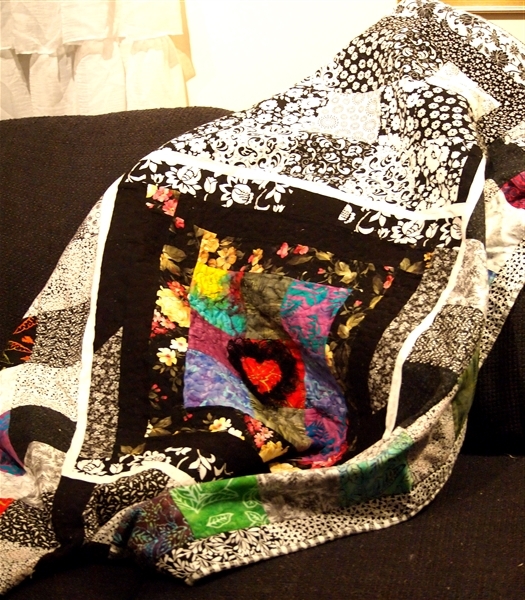 I want to get into larger quilts and will need a heavier larger machine. After a great deal of research and trying out different machines I have decided to purchase a new sewing machine by Janome. 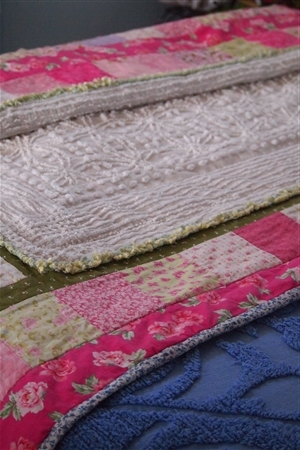 I am anxious to start a summer quilt for my daughter and her birthday. I have some special prints set aside just for her quilt. This is one of the quilts meant for Christmas but with my new machine coming I decided to wait. I can add a bit more squares to the quilt to make it even larger. 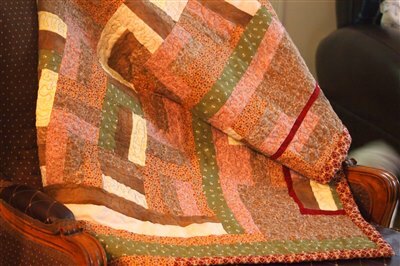 I also want to try out the Jack Flynn quilting system. Excited about that and anxious to see how well it will work out with the new machine. Will let you know what happens. Any helpful comments or thoughts greatly appreciated.